Teachings of Latu Maharaj, a direct disciple of Sri Ramakrishna. Latu progressed so quickly in the spiritual realm that, considering the different circumstances of his background and ours, he is far greater than us. We were all born of high ancestry and came to the Master with an intellect refined by formal education, whereas Latu was entirely illiterate... He had to hold on to a single idea throughout his life. Starting from a very ordinary and low state, by keeping his mind unruffled [through] meditation and other spiritual practices, Latu became fit to receive the highest spiritual wealth. 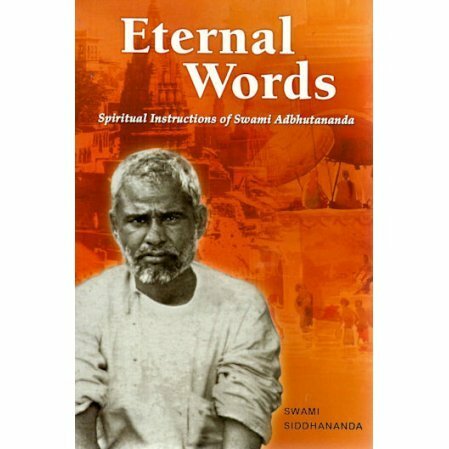 Swami Siddhananda was Latu Maharaj’s attendant and was fortunate to hear the spiritual instructions in person and quietly jotted down notes later published as Sad Katha in Bengali.